This is the fifth installment of the mini-series Why Radiant Heat Rocks!. In this series I’m highlighting some of the more unusual applications for which radiant heat excels over the more traditional hot-air approach to heating. You can find the first entry Why Radiant Heat Rocks! My car had a few small issues with surface rust and the like. So I took it into a body repair shop to see what could be done to fix it up and prevent further spread of the rust. He gave me an estimate of the cost and the time-line involved. I’m a patient guy, and I know that it takes time to do quality work – which is what I wanted. But it seemed to me that the time it would take him to do it was longer than I thought was warranted. I don’t know much about the auto body business and the processes involved, but I’m a curious guy so I asked. Well, it seems that in his small shop he had a number of constraints restricting his productivity. 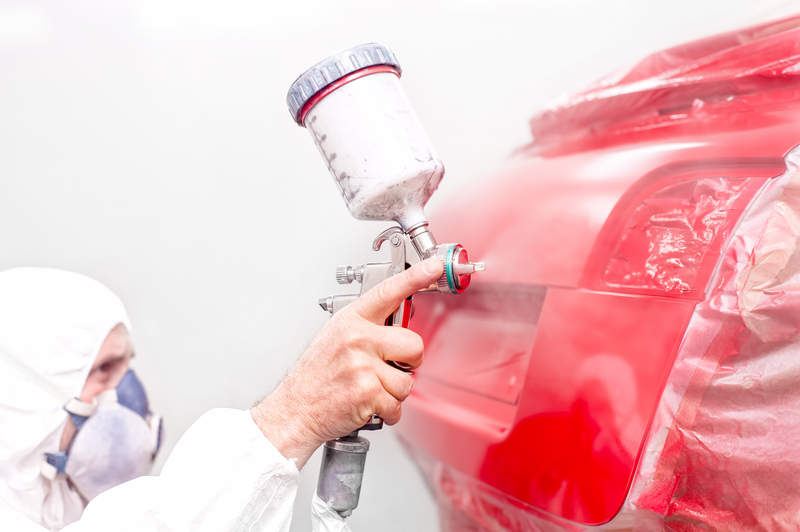 In order to do my small repair, he had to clean up the affected areas on the car which involved sanding, grinding and potentially welding in new metal. This created a lot of dust. He would then have to remove my car outside so that he could carefully clean up the area before he could apply primer and the finish coat. Once the garage was cleaned up, he then would have to move my car back into the space. I live in a cold climate. In the time my car would be outside, the body would cool down too much for paint to be applied. So he had to crank up the thermostat in the garage to elevate the garage’s temperature in order to warm the car body sufficiently so paint could be applied. (He had an oil-fired hot air furnace.) This process took hours. In the meantime he could do little in the garage but wait. What a productivity killer! Note, too, that since it was a hot air system, every time he opened the garage door, hot air spilled outside and the space had to be re-heated every time! What a waste of energy! Once the car was warm enough he could then apply the various paint coats. Between coats he had to be meticulous about dust. His hot air system would constantly be kicking up dust that was missed in the initial cleanup (you can never get it all) and some of that landed on the fresh wet paint. His heating system was actually working against his efforts – making more work for him, slowing him down and costing him more than was necessary. After discussing these challenges with the owner, I explained how radiant heat is so different to hot-air systems. Radiant heat warms objects directly. The air does warm up but only as a result of picking it up from other objects in the room. By applying radiant heat directly to the car, the car body would warm up much more quickly. He would be able to drastically cut his waiting time and therefore increase his productivity simply by changing his heating system. Furthermore, since radiant heat doesn’t kick up dust, it won’t be working against him during the painting process. Less dust meant less re-work caused by that dust. Since radiant heat doesn’t heat air directly, every time he opened the garage door far less energy was lost compared to his hot-air system. As soon as the door was closed again, the area was comfortable and ready for additional work. Saving money, saving time and increasing productivity are all good things!